Photography is not a competition. “7. 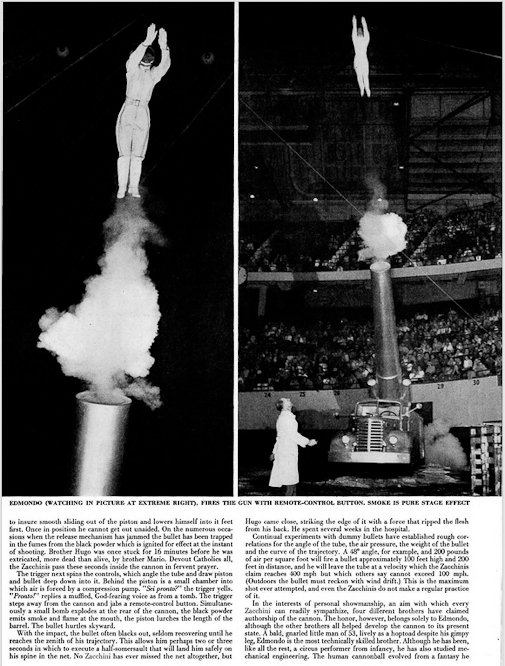 Human cannonball, Texas, 1947. 3 points for CC, Egle Zacchini, is the correct spelling. 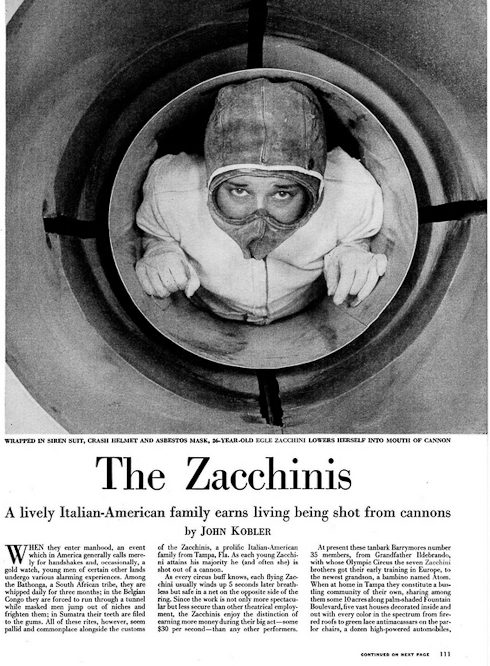 Minus 3 points for PM and Weegee, Eglie Zacchini is not the correct spelling. 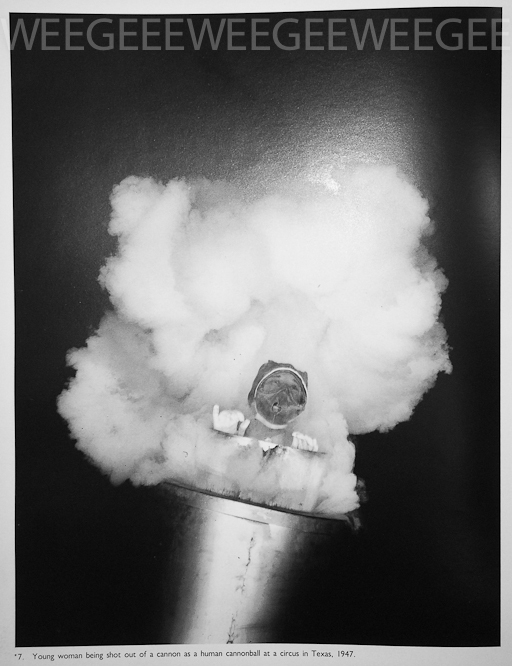 Weegee photographed ‘Miss Victory,’ Ms. Zacchini, first, five years before CC, plus four points. 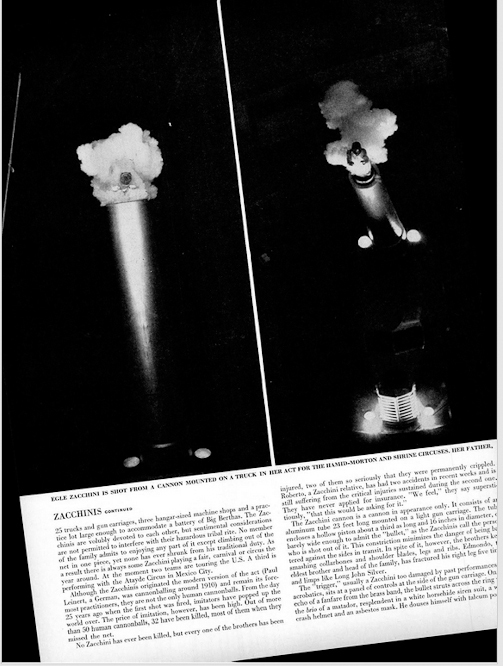 Weegee and CC made “unusually difficult pictures,” plus 50 points for both photographers. Silly bear caption, plus 1.5 points. 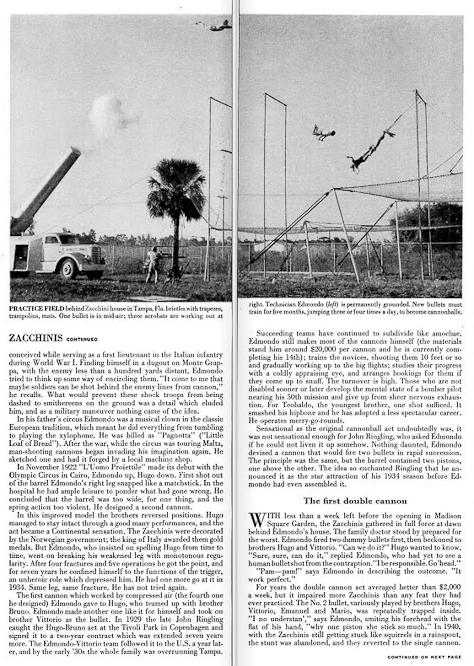 CC’s “great family of human cannonballs,” plus 150 points. 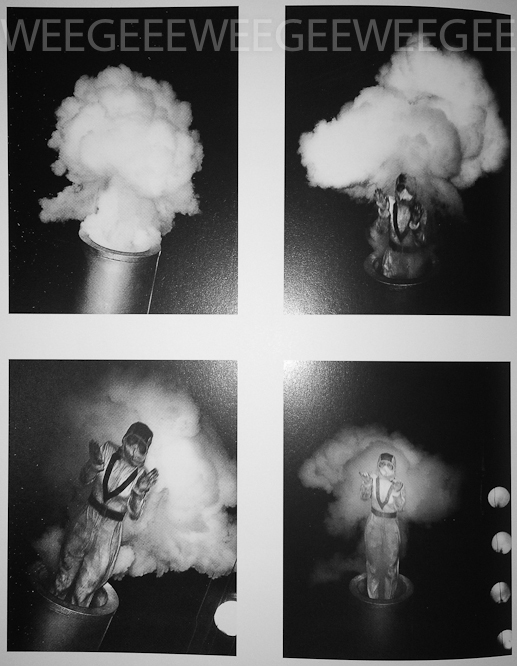 Weegee’s three circus photos were an entire page in PM, plus 10 points. CC’s photos, about seven, were in Life… plus 15 points. 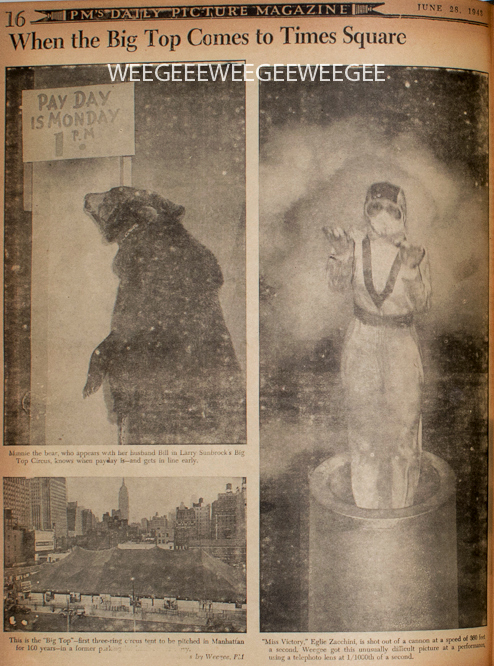 Weegee’s photo was made in NYC, plus 5 points. CC’s honesty and humility about having to try three times… plus 100 points. Quality and variety of CC’s photos… plus 200 points. Round one goes to Cornell Capa!